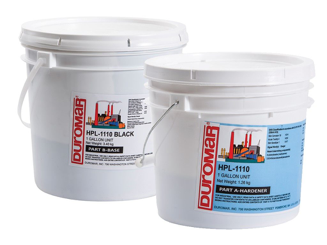 HPL-1110 is a flexible, low viscosity, easy to use coating system. It is used on structural steel, tank exteriors or other areas where extra corrosion resistance is required. HPL-1110 has an average pot life of 45 minutes. This multi-functional epoxy has a uniquely modified alkyl-amine. This product has a minimal shelf life of one year when stored in a dry area. 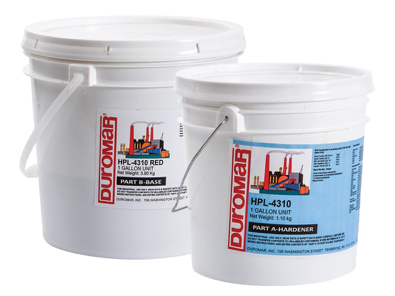 HPL-1110-PW has a low viscosity coating used in potable water tanks. It is certified to the ANSI/NSF 61 standard. It may be used on concrete or steel tanks. A low viscosity holding primer for steel surfaces allowing for extremely long overcoat windows. This multi-functional epoxy has a uniquely modified amido amine hardener. Force cures are recommended for severe service conditions as both physical and chemical properties are enhanced. 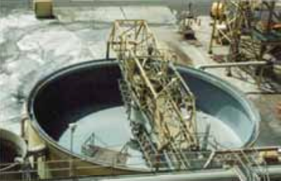 A trowelable material which is designed to rebuild and/or protect both steel and concrete tanks subject to severe erosion and corrosion. It is best applied using a mastic or grout pump. It is best applied using a mastic grout pump or plural component spray equipment. Force cues are recommended for severe service conditions as both physical and chemical properties are enhanced. A low temperature, fast curing, moderately low viscosity product with outstanding abrasion and chemical resistance. 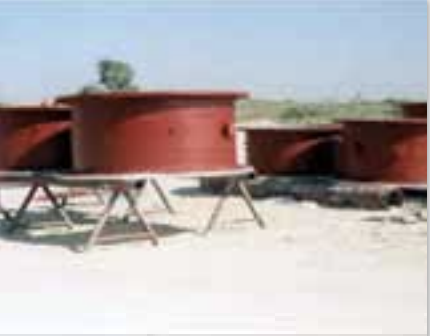 It can be used for process vessels, baghouse or precipitator walls, coal bunkers or flooring. It is designed to be applied by hand or with plural component spray equipment. 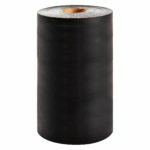 A medium viscosity product with outstanding abrasion resistance, impact resistance and flexibility. 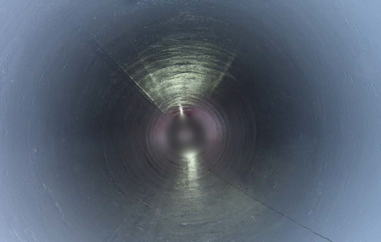 It can be used for rail cars, ash hoppers, slurry tanks, secondary containment, traveling water screens or anywhere requiring flexibility, abrasion and chemical resistance. It is designed to be applied by hand or with plural component spray equipment. Multi-functional apoxy with a uniquely modified aliphatic/cycloaliphatic amine hardener. Force cures are recommended for severe service conditions as both physical and chemical properties are enhanced. A low viscosity, long potlife, coating with excellent chemical resistance in an ambient cured material. It is designed to be applied by brush, roller or with conventional airless equipment. This multi-functional epoxy with a uniquely modified amido amine hardener. Force cures are necessary for electrical conductivity. This condition is necessary as both physical and chemical properties are enhanced. An outstanding, versatile and easy to use 100% solids material. 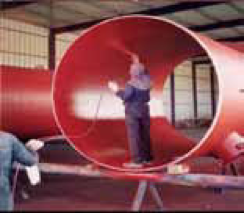 It can be used for circulation water pipe, sewage treatment systems, or process water tanks. 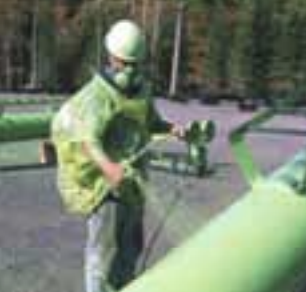 It can be applied by brush, roller or with conventional spray equipment. This multi-functional epoxy has a uniquely modified amido-amine hardener. Force cures are recommended or severe service conditions as both physical and chemical properties are enhanced. 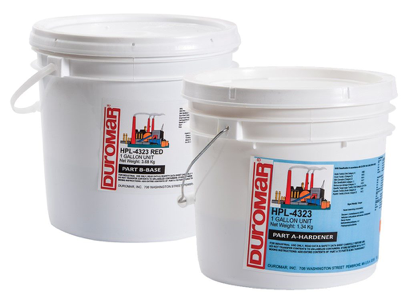 A moisture tolerant version of the HPL-2510 which can be used on dams, oil rigs, steel or concrete structures. It can be applied underwater or on very wet surfaces. Multi-functional epoxy with a uniquely modified amido amine hardener. 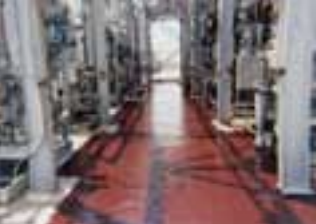 A fast curing bis-phenol F epoxy used primarily for secondary containment where excellent chemical resistance to sulfuric and other inorganic acids is required at ambient cure temperatures. This epoxy has a uniquely modified cycloaliphatic amine hardener. Force cures are recommended for severe service conditions as both physical and chemical properties are enhanced. Forced curing should not start until material has firmly set. 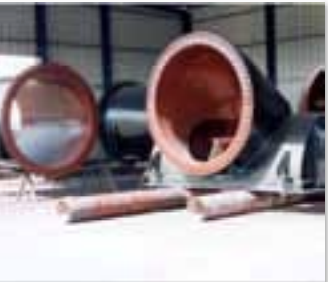 A high-temperature, abrasion resistant, trowel applied product for boiler skirts, incinerator outlets or anywhere requiring resistance to abrasive elements a high temperature. This multi-functional epoxy with a uniquely modified cycloaliphatic amine hardener. Force cures are recommended for severe service conditions as both physical and chemical properties are enhanced. A high functionality, 100% solids novolac material, designed for concentrated sulfuric acid and other inorganic acid service. It can be applied by hand but is most efficiently applied over large areas by plural component airless. Requires elevated temperature cure. 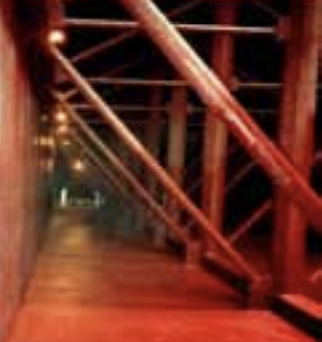 It can be used in power plant outlet ducts, utility systems, petrochemical and acid storage tanks or anywhere requiring outstanding chemical resistance in an easy to apply coating system. This multi-functional epoxy with a uniquely modified cycloaliphatic amine hardener. Force cures are recommended for severe service conditions as both physical and chemical properties are enhanced. A high functionality, 100% solids novolac material, designed for concentrated sulfuric acid and other inorganic acid service. It can be applied by hand but is most efficiently applied over large areas by plural component airless. Requires elevated temperature cure. Chemical resistance is greatly improved with an elevated temperature post-cure. This multi-functional epoxy is a uniquely modified cycloaliphatic amine hardener. 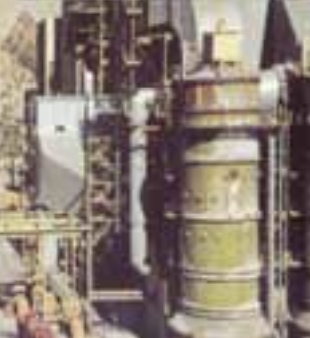 A more chemical resistant version of the HPL-4320 designed for constant immersion in high concentrations of sulfuric and other inorganic acids. Although it can be applied by hand in small areas, it is most efficiently applied using plural component spray equipment. Requires elevated temperature cure. This epoxy is ideal for secondary containment and immersion service and is best applied via brush, roller or plural component airless spray equipment. This multi-functional epoxy is uniquely modified cycloaliphatic amine hardener. 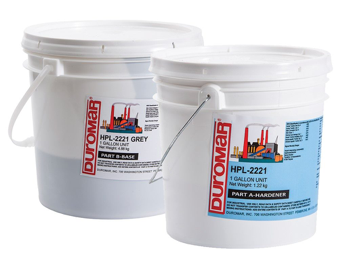 A special version of the HPL-4320 designed for methylene chloride and other solvents. Requires elevated temperature cure. A flexible version of the HPL-4320 used for secondary containment, ductwork or anywhere requiring better flexibility with extremely good chemical resistance. This coating system is engineered to have a flexible, highly cross-linked backbone to provide excellent high temperature and thermal cycling resistance. Force cures are recommended for severe service conditions as both physical and chemical properties are enhanced. 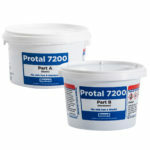 A trowellable, 100% solids novolac lining with outstanding chemical resistance. 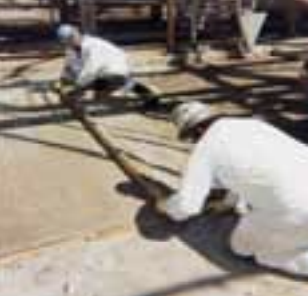 It is primarily used in areas requiring the ultimate in chemical and abrasion resistance. It is most efficiently applied by grout pump. It can also be applied by trowel or squeegee. Novolac epoxy with a uniquely modified cycloaliphatic amine hardener. A clear lining with outstanding color stability and UV resistance. 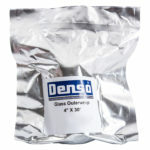 It also offers moderate chemical and abrasion resistance. It is used primarily as a UV resistant topcoat on system where no yellowing or discoloration can be tolerated. It can be cured at temperatures as low as 40 degrees Fahrenheit with proper procedures.